We offer a wide variety of classes that we feel will fit any family schedule. Whether it is our 30-hour classroom instruction or our advanced skills track to our on-line/home study course. If you have any questions please feel free to call the office nearest you and we will be more than happy to answer any questions that you may have regarding driver’s education. Thank you for choosing WSDI for all your driving needs and we look forward to doing business with you. 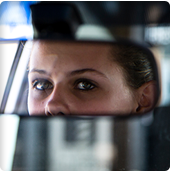 Please consider Western Slope Driving Institute for your teens’ permit test and future driving career. Here at Western Slope Driving Institute, we take our curriculum to the next level with THE AMERICAN DRIVER AND TRAFFIC SAFETY EDUCATION ASSOCIATION “ADTESA 2.0”. 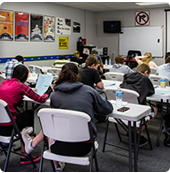 The best way to learn driver's education is in a classroom setting. 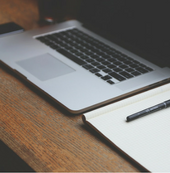 During class, your student will be taking notes off of PowerPoint about the information or maneuver that they’re learning about. The student will also see videos and do worksheets that help them reiterate the information over and over again, causing the retention level to be much better than just reading out of a book for 30 hours. This causes their academic and developing brain to grasp the information in a way that other curriculum do not capture. During the DUI portion of our class your student will simulate drinking and driving by using the Drunk Buster goggles and driving a golf cart through the a course. Students will also simulate the affects of being high with pot goggles. Overall the curriculum is easy to understand and easy to retain making it a life long skill that they can continue to build on over the course of their driving career. The Precision Skills Track is modeled after the Denver Police Department Emergency Vehicle Operations Course (EVOC). All driving is done on a closed course, AT SLOW SPEEDS, under direct supervision with traffic barriers, cones and signs used to simulate different hazards and driving patterns. Important skills that are re-enforced during this course are listed below. The participant will be evaluated on each exercise so that he/she understands where they can make improvements and for the instructor to make reasonable suggestions for the participant to consider and then implement in to their driving skills. The Precision Skills Track. training is not a pass or fail training course but it gives the participant the ability to understand certain dynamics of a vehicle. As you can see, WSDI has taken a lot of steps to design a track that fits the needs for a more advanced training program. WSDI hopes that the participant will enjoy this track as much as we have had putting it together for you. The advanced skills track is not for someone who is having problems driving or a substitute for driver’s education. This is an advanced skills track for participants to better understand the advanced techniques of operating a motor vehicle, and to ultimately make them a safer driver by giving them more confidence through advanced driver training. This course can fit the needs of corporate fleets. Course can also be taken by any student from any driving school. The Online program is designed for those students with busy scheudles that don't allow them to take drivers education in the classroom setting. 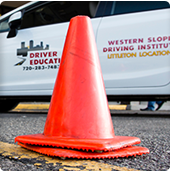 Western Slope Driving Institute uses State approved online curriculum that coincides with the curriculum used in our classroom. Students will take the required 30 hours of instruction from home. The student by law is mandated to be online a total of 30 hours to fulfill state law in regards to drivers education. 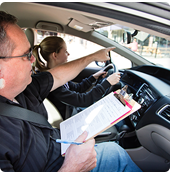 After completion of the course the student will come in to take their permit test at a local WSDI office. They are then able to take the paperwork to the DMV to obtain their actual permit. Drive time is designed for drivers who need 6 hours of drive time as required by the State of Colorado. You can purchase 2, 4, or 6 hours if that is all you need. 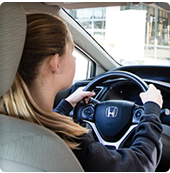 You can also customize your Behind the Wheel training to fit your student’s needs. We also offer a package of 50 hours behind the wheel for $2,900.00. To customize this package, please call the office nearest you. Drive time is designed to train students in a multi faceted environment in which they will be driving. The areas of target the student will learn are: getting ready to drive; residential and country; business district; and highway driving. Students will be evaluated during the drive by a WSDI instructor so as to pass on this information to the parents so the student will achieve their maximum driving potential. This is for any driver who wants the best possible instruction in order to set themselves up for success. Western Slope Driving Institute is authorized by the State of Colorado to administer the driving test required to qualify for your Colorado drivers license. The Driving Test is designed for those who need to get a drivers license, but don’t want to wait for an appointment at the DMV. We have multiple locations throughout the state to service you for you testing needs. The Driving Test takes approximately 10 to 15 minutes to administer. You will be given a BOST certificate which you will need to take to the DMV to get your license. To Schedule an appointment and to get prices for the Driving Test, please call the office nearest to you. Click HERE for office phone numbers and addresses. Call today for a Polite and Friendly Road Test. This course is a 4 hour driver awareness program approved by the State of Colorado. Student will use a workbook to guide them through the course instruction. This course is designed for students who don’t want the 30 hour course and meet state requirements to take this class, companies who are looking to enhance their fleet management teams or employee skills in fleet vehicles. This course would also be good along with the skills track for fleet management programs. Call 720-283-7483 to customize your own package. This is the equivalent to “Alive at 25″. However, after our class we can administer the permit test unlike the State Patrol’s class. This way you do not need to go to the DMV to take your written permit test.